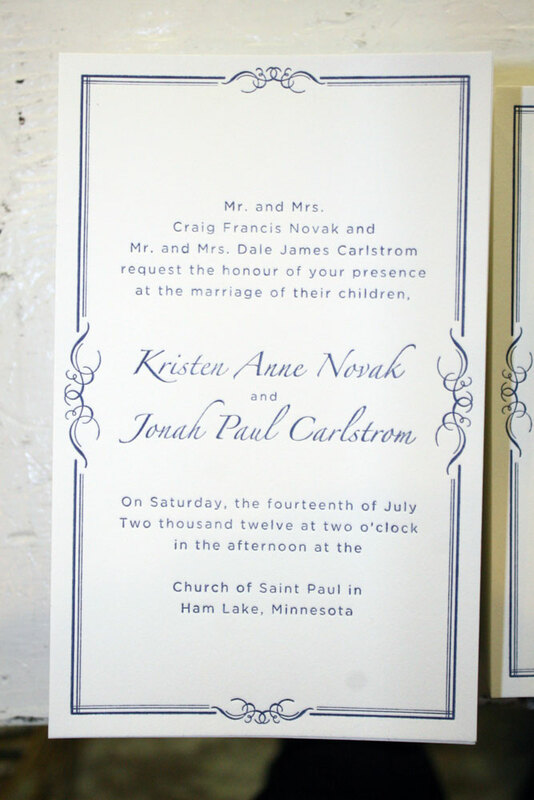 It's a rainy Thursday before Memorial Day weekend here at Rex Mills Printing, and we are working on an elegant yet simple wedding invite for the Novak & Carlstrom wedding. Getting ready to make the invites. 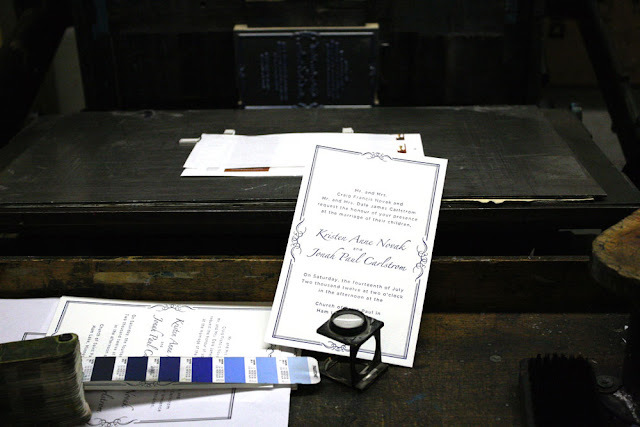 Centerizing and color matching the Novak / Carlstrom letterpress wedding invitation. Many thanks to designer Noah Carlstrom at Carmichael Lynch who put together this fantastic design for his brother Jonah. We had Noah's design made into multiple magnesium dies and used Pantone color 295 (a very dark navy blue) to provide a high contrast to the soft paper. 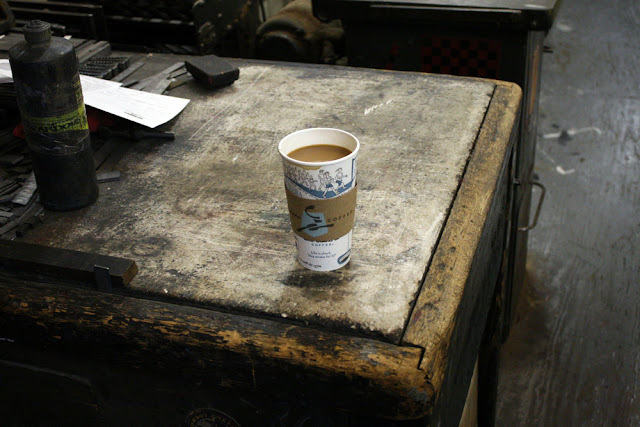 Pressman's 5th best friend and a great pick-me-up to keep the rainy day slow down away. 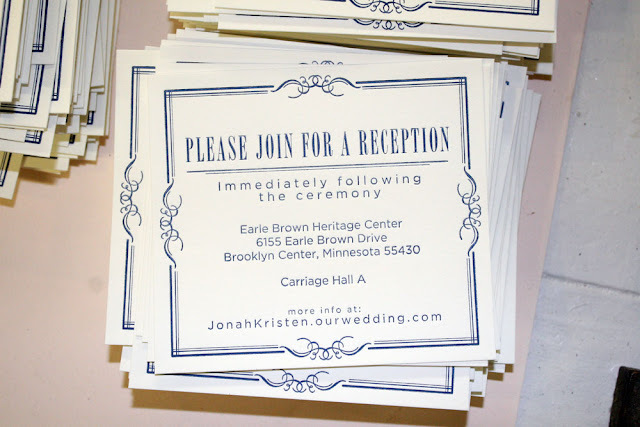 The bride and groom chose three separate pieces in this case: wedding invite, an RSVP card, and a reception card. 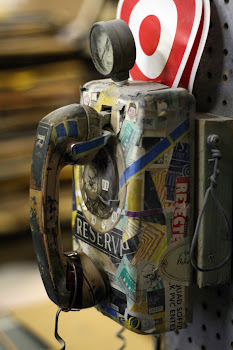 We printed this on Lettra Pearl White 110# paper from Crane. 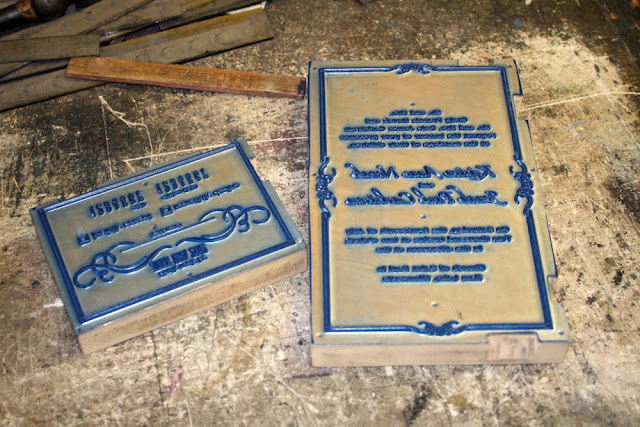 The finished product was a very traditional and timeless wedding package. Magnesium plates on the composing stone after the job has been run. Please join for a reception. Our landlord was in about a week ago and needed some business cards quickly for a convention in Vegas with other commercial real estate developers. We set John up with some Lettra Pearl White 110# paper and a dark blue justified to the right for a twist from the norm. We got to have some fun setting some type after John went through our cases of type looking for just the right sans-serif font to make these cards. 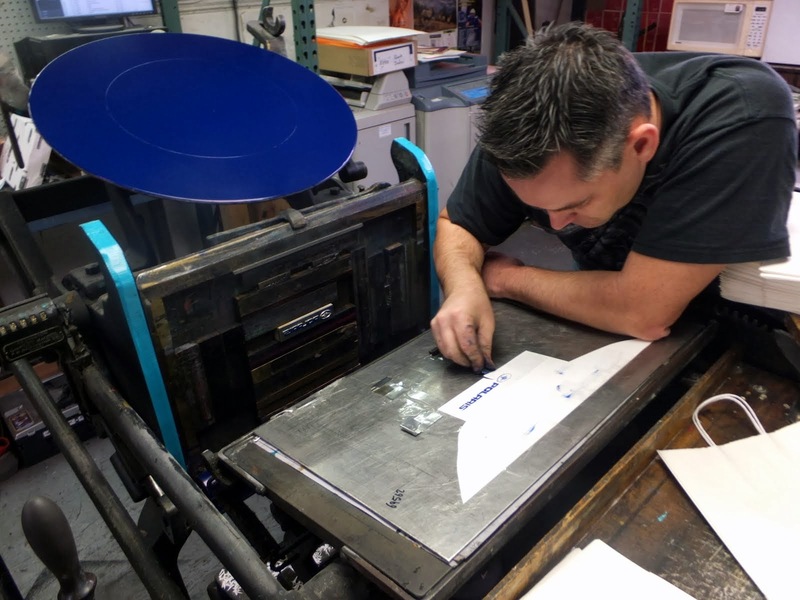 A quick press proof, and we were running these through on our small C&P press and helping John make connections in the world of real estate. 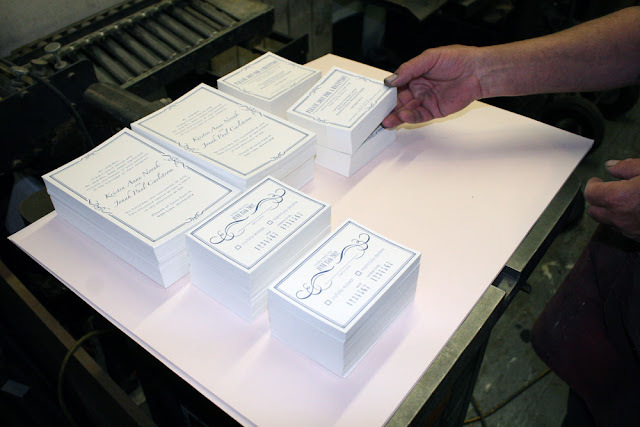 Hand set type business cards using Lettra 110# pearl white and copperplate gothic bold.